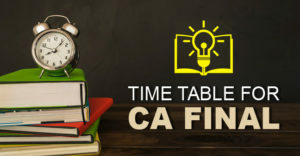 CA aspiring students often ask us for CA Final Study Tips so that they can clear it easily and more often we suggest them the following Study tips for CA Final, It is the toughest part of Chartered Accountancy course and in order to clear this exam, you need a lot and lot of hard work. But friends, hard work is not enough, you need to carefully balance it with smart work. 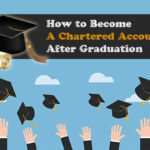 You must have seen some of your seniors working hard for long but still giving attempts while others smartly planned their studies and successfully added Chartered Accountant with their name. So, today we are sharing you some of these hacks which helped CA aspiring students in clearing this exam. You might have seen, some students create a mountain of books in their room and remain confused very time from where to study. They often try to complete all the books gather from all the sources but this cannot give you a good result. 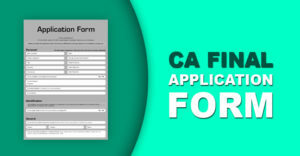 The first Study tip for CA final students is that you should refer one book and revise it multiple times. This does not mean that you should refer only one book for one subject. You can choose books according to the topic like one book for Audit and other for SA. Your seniors many times advised you to read PM as ICAI has a tendency to ask questions from the Practice Manual directly. Maybe your teacher told you that they have covered PM questions in their compilers but still, I advise to read everything from PM at least once. 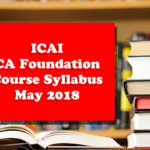 This CA final Self Study Tip will not only make you practice a lot of questions but also show you the presentation demanding by ICAI. Everything is important in the CA Papers. It’s hard to identify what to skip and what not. But trust me, it’s hardly impossible to complete everything unless you are a genius. 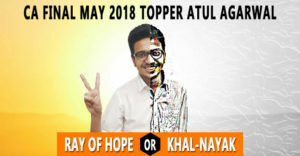 So, the best study tip for Ca final is that you have to prioritize the topics and in which you can take the help of your teachers. 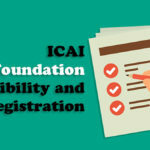 ICAI also consider some topics more important and hence ask the same in a number of attempts. Thus complete those topics first which will assure you to score 60+ marks. It is one of the best CA final seself-studyips, Nothing could be better than your own handwritten notes to revise on the day preparation left. It is not even possible to revise the whole study material or whole PM in a single day. Hence, you need to be prepared for it. Either prepare your own handwritten notes or refer some summary book which could be revised in a single day covering each and every relevant topic of your subject. But remember, whatever material you are considering for the revision you must have gone through it earlier at least 2-3 times. Don’t go with any new notes on the exam day. This Study tip is applicable to every student in this world. I have seen plenty of students who start skipping meals to stay awake for study. But never ever commit such a mistake. You have to take the proper diet including more and more fresh fruits and vegetables. You will ruin all the efforts you have made if you become careless towards your health. Instead of depending so much on caffeine, you can talk a short walk or jump for a minute so that you will not feel sleepy and do not skip any meal. 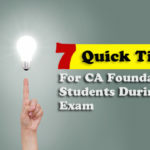 Consider this study tip for CA Final preparation so that you can crack the exam. ICAI always wants you to be updated. So, keep yourself updated with the latest laws, sections, and provisions. ICAI has a tendency to cover a good part of the paper from the amendments only. 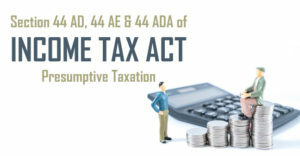 Either it is FR, Law, DT or IDT, you have to be always updated with the amendments. This is a major study tip for final students who are aiming for a higher rank. No one can even think to cover all case laws so, always focus on case laws which are new, relevant and applicable for your attempt. I have seen many times students struggling with learning the names of case laws but friends let me very clear that only ½ mark is awarded in per question to write the name of applicable case law. Actually, marks are given on the basis of relevant provision and conclusion of case law. So, study tip for ca final from my side on case laws is that if you are also struggling with learning names of case laws then skip it and focus on its conclusion. You may also like to read: Is it mandatory to write Section Numbers of Acts? You have to present your answer properly which is complete in every manner. This is not B.Com where you will get marks by filling the copies. In CA exams, length of the answer is not important, relevancy is more important. Start your solution with what examiner is asking for then refer the relevant provision in this context and finish it with necessary conclusion along with case law. Knowledge is important but practice is more important. Mock Test Papers let you know where are you standing at. Generally, students even after having complete knowledge fail to answer correctly. The reason behind such is lack of understanding what examiner is asking. Practicing mock test papers let you understand such and after attempting plenty of questions you will come to know what examiner is asking for. Also, practicing past attempt papers or mock test papers is the best study tip for CA Final Examination to manage your speed and accuracy. Skipping theory of practical subjects is usually considered as the best study tip for CA final preparation but it is not the right approach. 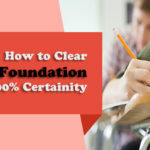 Normally, students use to cover the practical portion in practical subject and theory in theory subject and they forget to cover theory part in a practical subject which is considered equally important. Papers like Costing, FR covers a big theory portion also which need to be focused along with the practical portion. 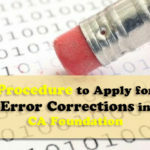 All your efforts will get waste if you are not able to maintain a schedule to revise the things properly. In order to clear the CA Exams, remember friends three times revision is a must. Make a proper timetable which let you complete your course in time and you will also get time to revise the things properly. And plan your revision smartly in which first revision is of full course covering each and every topic and also you need to mark important or repeated questions so that you do not have to waste your time on such in your second revision or third revision. 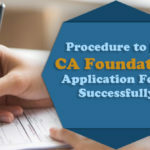 These are some study tips for CA Final which you should follow if you want to become Chartered Accountant. Hope you found this article helpful and all the best friends. For more such articles, stay connected with us. 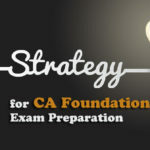 How to Get a Rank in CA Final Exam- The Study Plan!